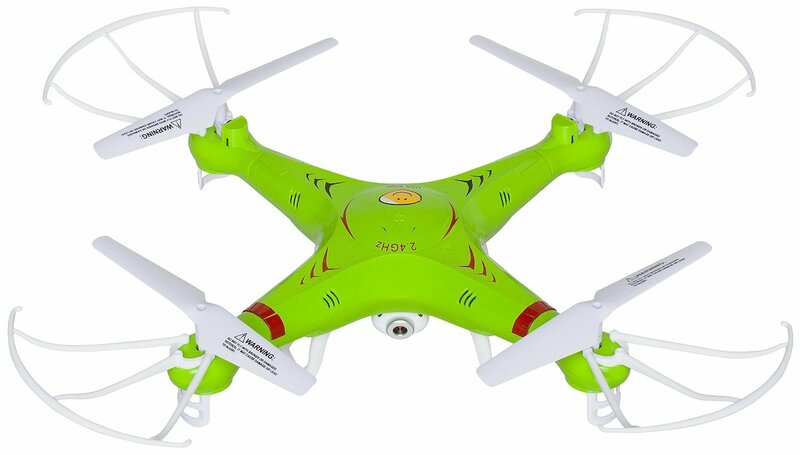 Home › Toys › X5C Rc Quadcopter Drone With Camera (720P Hd) Headless Mode 2.4Ghz 4 Ch 6 Axi..
X5C Rc Quadcopter Drone With Camera (720P Hd) Headless Mode 2.4Ghz 4 Ch 6 Axi..
HD VIDEO CAMERA: 2MP HD video camera (Resolution: 1280 x 720; Framerate: 30 FPS) lets you take high-resolution pictures and videos during flight. Comes with 2GB Micro SD Card! Integrated design guarantees the precise positioning of the aircraft. Strong stability, easily implement various flight movements, stronger wind resistance, easier to control.